The Minister of agriculture and food of Moscow region Andrey Razin on behalf of the Governor of the Moscow region held a series of meetings during the two-day visit to the Netherlands, according to The DairyNews with reference to the press service of the regional Ministry of agriculture. In December 2018, a meeting of the Governor of Moscow region Andrei Vorobyov with the Extraordinary and Plenipotentiary Ambassador of the Kingdom of the Netherlands and representatives of Dutch business. During the conversation with the Governor was presented advanced technologies in greenhouses and livestock, as well as modern technologies on waste processing. "During the visit I got acquainted with the results of implementation of these technologies at the enterprises of the Netherlands "Lely", "TST-Agro", "Gakon" and with the activities of the factories where they are produced. The country is not only famous for tulips and cheese, but also advanced technology and visits to these companies the opportunity to get acquainted with the practices to agree on the application by farmers of the Moscow region", - said Andrey Razin. The country has an area of 41 sq. km located more than 10 thousand ha of vegetable, flower, berry greenhouses. The number of cows is 1.5 million, the total cattle herd 4 million Farm-to 100 - 500 heads located in each village. According to Razin, the Netherlands, for each production a great attention is paid to the proper disposal and recycling. A number of companies use bostanovna for the production of electricity and heat for their own needs. "We discussed with our Dutch partners organisation of exchange of experience in creation of modern enterprises and the support available. Colleagues have offered their services in the formation of innovative robotic dairy farms, and improving performance already established by the introduction of advanced technologies. Discussed the possibilities of cooperation with the suburban farmers for the disposal of manure," said Andrei Razin. During the visit, the Minister raised the subject of exports. "Netherlands are among the leaders in the export of agricultural products, including vegetables, milk powder, cheese and flowers. 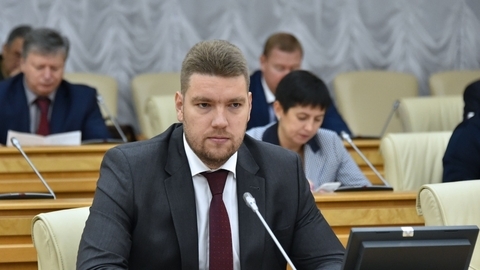 Their suggestions and ideas useful for the formation of an effective system of export promotion of the suburban agricultural products and foodstuffs to maintain the level of competitiveness", - said Andrey Razin. The Minister of agriculture and food of the region familiarized the colleagues with the support measures in the region and discussed the details of the implementation of joint projects in the Moscow region.